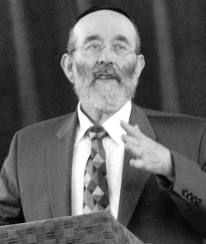 Rabbi Elchonon Zohn is the Founder and Director of the National Association of Chevra Kadisha. Rabbi Zohn is internationally recognized as one of the foremost rabbonim experienced in chesed shel emes inyanim. His organization, The National Association of Chevra Kadisha, NASCK, was founded in 1996 as Association of Chevros Kadisha, and was created in order to form a united and cohesive group of Jewish Burial Societies in the United States and Canada, dedicated to traditional Jewish burial practices. It acts as an umbrella organization to assist affiliated groups in defining, establishing, and achieving the highest degree of Kovod Hames as defined by Jewish law. Their website is www.nasck.org.